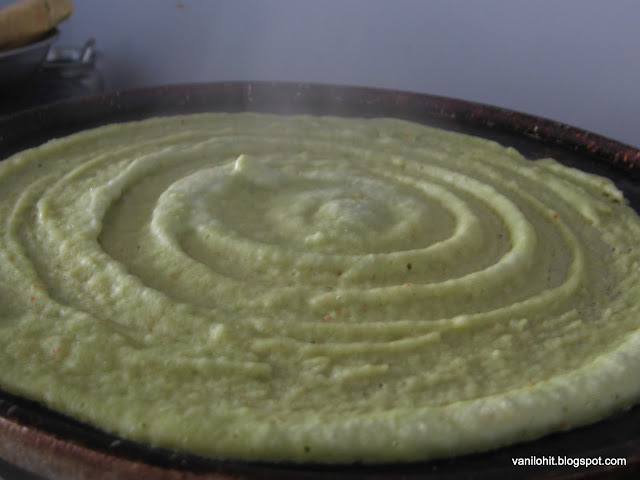 'Tellevu' is the signature dish of Havyakas. 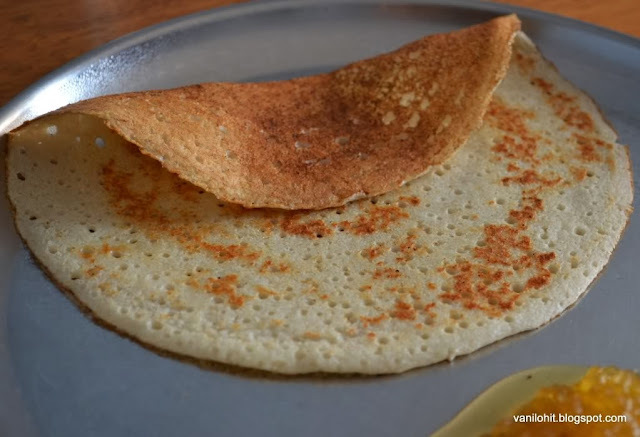 In rural parts of South India, Tellevu is the daily breakfast item in most of the Havyaka homes. 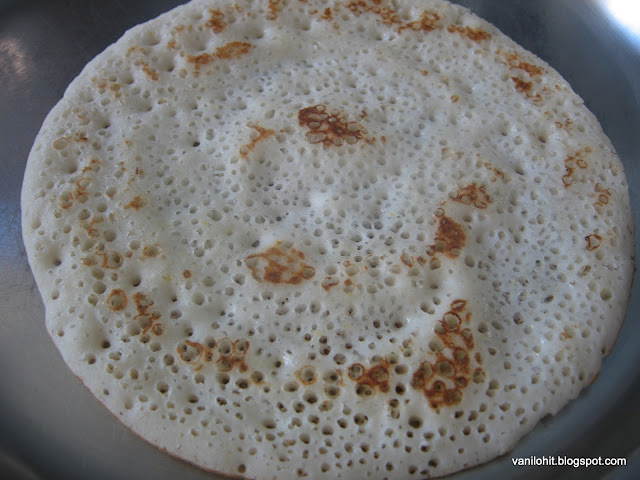 Preparing such a thin dosa on the hot pan is an art. It needs some practice and lot of patience! Different varieties of Tellevu can be prepared using different veggies. Mogekayi and cucumber are the main vegetables used for preparing Tellevu. During the season of Jack fruit, people love to prepare Raw Jack Fruit Tellevu. For this Tellevu, raw jack fruit flesh collected should be ground immediately and with that batter, Tellevu / Dosa should be prepared quickly. Since it requires lot of back end work, its convenient to prepare this Tellevu for the evening snacks. I had this Tellevu ages back during my college days. This year, I was at native during the jack fruit season and got a chance to enjoy this delicious Tellevu. Mom prepared this Tellevu on a fine evening and the entire family enjoyed eating it. Honey and Coconut Chutney are the best combo with Raw Jack Fruit Tellevu. 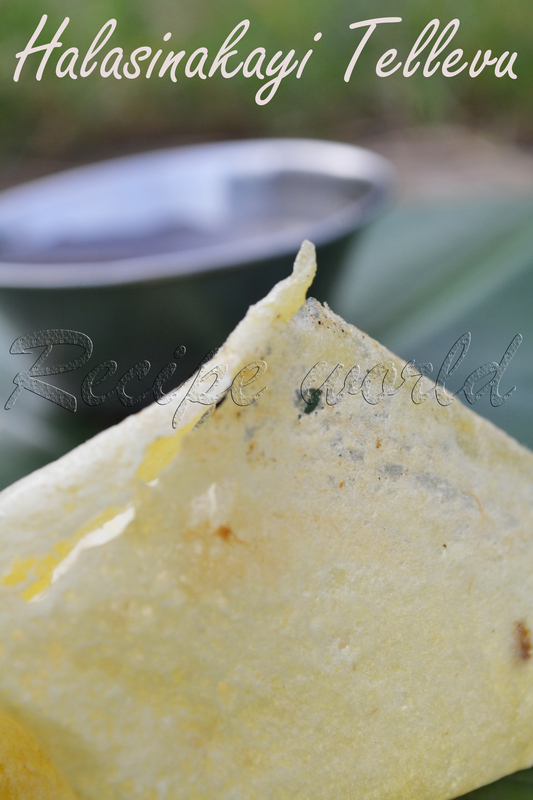 I had posted regular 'Tellevu' recipe long back which contains the video of preparing Tellevu. Click here to see the Tellevu video recipe. Cut the raw jack fruit, separate the seeds and collect the flesh. Chop the jack fruit flesh finely. Grind it finely by adding salt to taste. While grinding, add water as required. 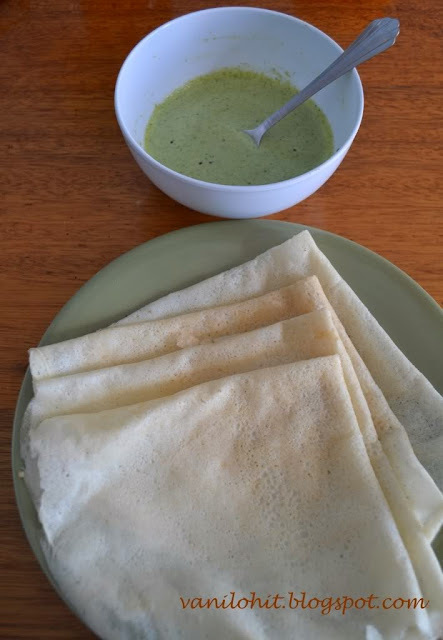 Let the batter be thicker than regular dosa batter. Heat the dosa pan on medium flame. 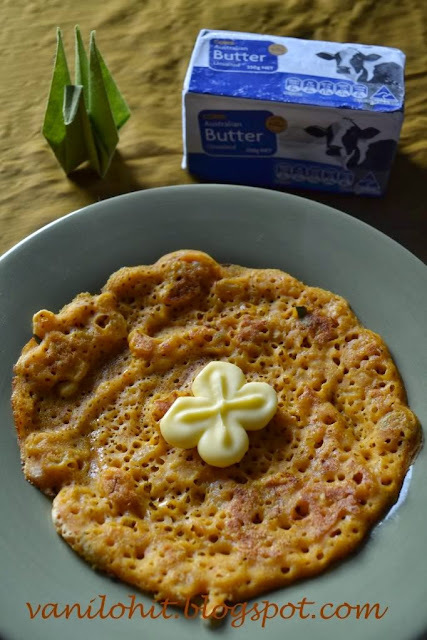 Take a laddle full of batter, pour it on the hot pan and spread it thinly. Cook the Tellevu on medium flame on one side till its crispy. 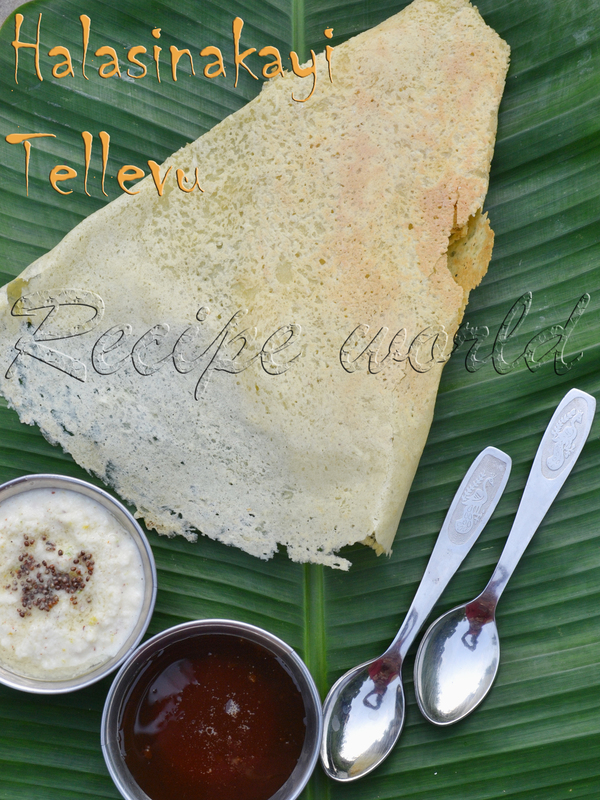 Enjoy hot Tellevu along with Honey and Coconut Chutney! Use the prepared batter immediately. If kept for long time, Tellevu won't come out nice. If the Tellevu is not coming out well some time say, half an hour after preparing the batter, try using it after grinding it again. Not all the raw jack fruit are suitable for preparing this Tellevu. 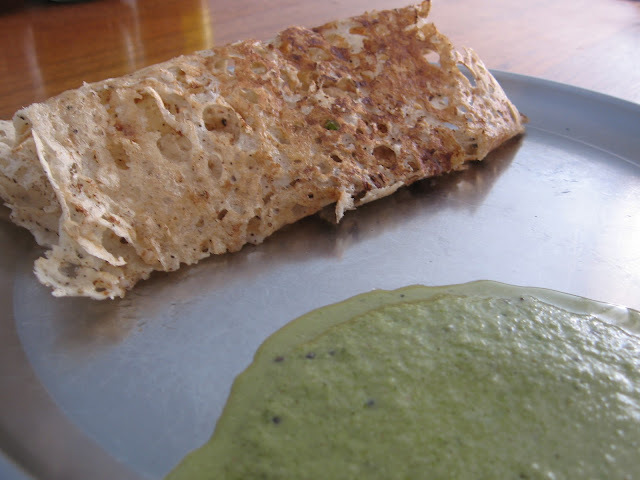 Thats why sometimes you may end up preparing slightly thicker dosa instead of thin ones. Mixie is not good for preparing batter for this Tellevu. Wet grinder or 'Oralu' (traditional Indian Mortar and Pestle) would be better for this purpose. 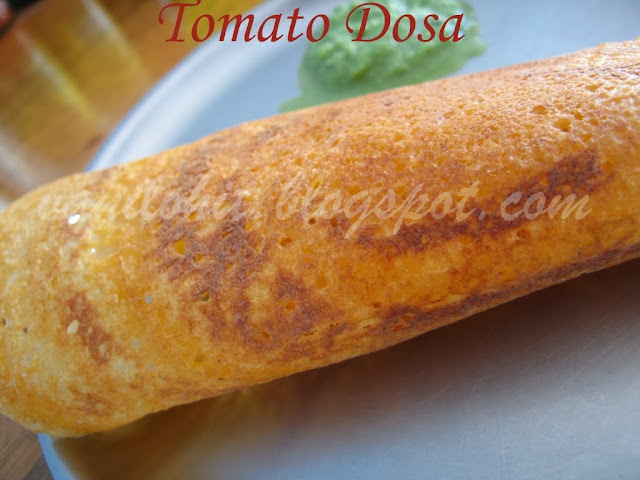 Very new dish for me, dosa looks so crispy and delicious..